Poly/Dacron combo rope features high tensile polyester fiber bound over polypropylene core yarns. 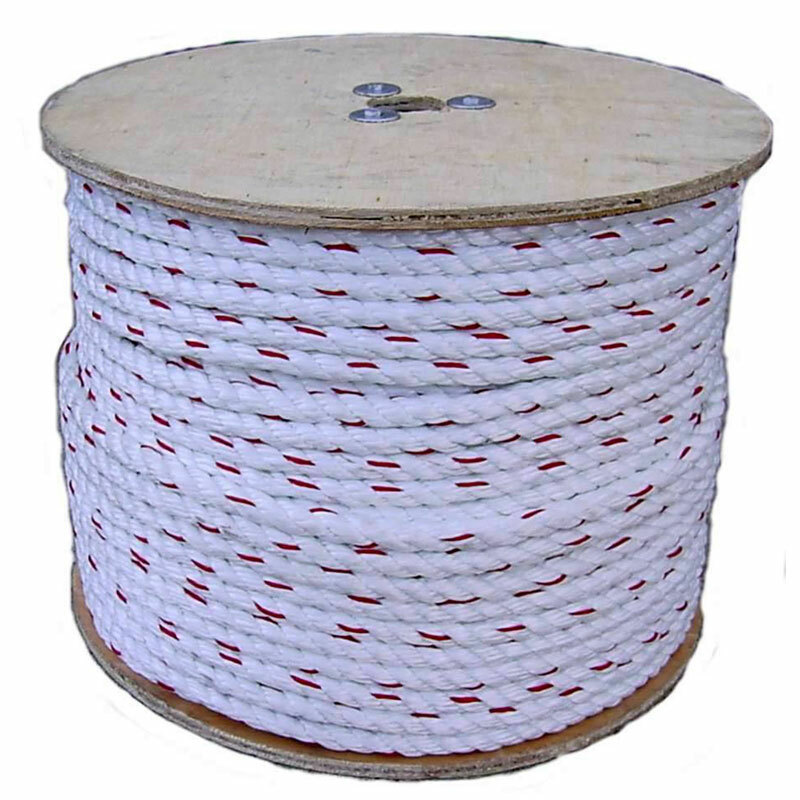 This rope features good abrasion resistance, high strength, and will hover just under the water, surface. White with red tracers.